What Frank Zappa said cynically about music writers, paradoxically proves that writing is also an art form even it is for music: "Writing about music is like dancing about architecture." Yes, that's right. Trying to express the details of an architectural piece by dancing is as hard as to explain what is going on during a musical performance by words. It may seem to be as unnecessary as dancing in front of a building for some people; but writing a good review is not an easy thing. So is finding a real good melody for a musical composition nowadays. Composers have used indefinitely many melodic structures throughout the music history, some of which became so successfully famous that the melodies can easily be recognized even if the composers' names are not remembered. Being full of many already discovered melodies, the music in new millennium pushes musicians especially in jazz to do extraordinary things in styles, rhythms or sound. Some may show technical perfection and complexity as the necessary and sufficient conditions for an impressive jazz performance, whereas some may see the blues and swing as "sine qua non" for this. However, finding a catchy, unique and longevous melody is still one of the most important aspects of a successful musical piece regardless of the genre. In other words, what you play is as important as how you play it. 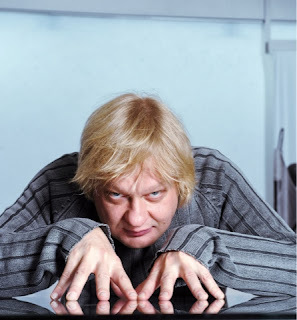 Having been already known for his success in composing and finding really impressive melodies in his famous Trio Töykeät period (1988-2006), Finnish pianist Iiro Rantala seems to have increased the weight of the melodies in his works with his ACT related career, which started in 2011 with the fantastic solo album Lost Heroes. Iiro Rantala was born in 1970 and his relation with classical music goes back to childhood where we can see Bach's impression on the musician. Besides, after his education in Jazz Department of Sibellius Academy in Finland, he studied classical music in Manhattan School of Music. He has taken place in 7 albums and approximately 2000 concerts of his jazz trio. We can also see his name in many classical albums, performances and compositions. Thanks to both his connection to classical genre and his long time experience in jazz, what we hear at first sight was a self-confident performance of a virtuoso jazz pianist on very well composed pieces in this solo album. Dedicated to many passed away musicians such as Pekka Pohjola, Bill Evans, Esbjörn Svensson, Michel Petrucciani and Luciano Pavorotti, each piece somewhat has a connection to the inspiring name with its style or emotion. In my opinion, this album has become one of the most precious pieces in solo jazz piano history. Let me remind you that with the release of the album, Iiro Rantala is awarded both by German Critics and ECHO Jazz. Following this success, the second album from ACT is named My History of Jazz and created in 2012 by a collaboration with Swedish bassist Lars Danielsson, Polish violinist Adam Bałdych and Danish drummer Morten Lund. 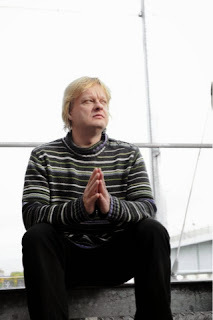 Iiro Rantala expressed his wide connection to jazz obviously not only by playing many different sub-genres such as swing, bebop, smooth jazz, Nordic but also by starting and ending the album with Johann Sebastian Bach's Arias and inserting an individual improvisation based on Goldberg Variations between each piece. He directly says in the liner notes "I've never been into blues piano or so called main stream jazz. That's why they're missing on the album." Since he has taken stage with pianists Leszek Moźdźer and Michael Wollny for the first Jazz at Berlin Philharmonic concert which is recorded as a live album and released in 2013; I think Iiro Rantala can surely said to be one of the most important pianists of ACT label. I heard with my own ears that Siggi Loch (founder of ACT) found him very impressive for his wide spectrum in styles and talent in playing the classical music as well as jazz. It seems that the collaboration between Adam Bałdych and Iiro Rantala from the record My History of Jazz is in the roots of the latest album which came again from ACT in 2014: Anyone With A Heart. 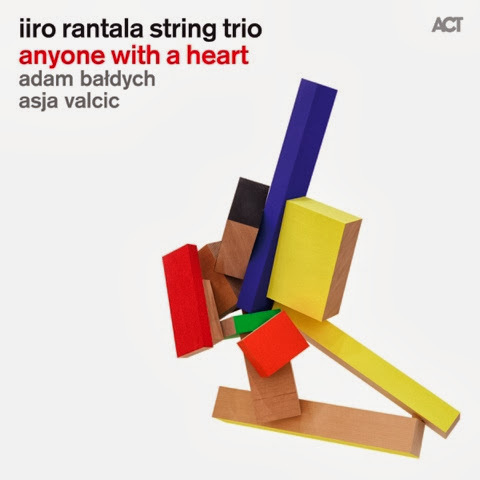 Iiro Rantala formed a string trio for this record adding Crotian cellist Asja Valcic next to Adam Bałdych. Actually this is not the first time we see Iiro Rantala in an interesting trio configuration to play jazzy compositions. His collaboration with a guitar and a human beat box created Iiro Rantala New Trio in 2005 and stayed alive until 2010 also releasing an album. Being an interesting formation for a jazz performance, Iiro Rantala String Trio is evidently on the way which Iiro Rantala has been following: putting the composition at the heart of the performance, finding impressive melodies and using improvisation to tune the tension of the music. Frankly, it is not easy to define the string trio as a jazz one and we can tell the same also for their first album. However, it is obvious that neither Iiro Rantala suppose the opposite, nor the borders of the jazz in Europe are very well defined in last decades. The romantic album Anyone With A Heart is unique not only with its formation and almost genre-less structure but also with its incredibly emotional liner notes prepared by Iiro Rantala, whose main theme is related with heart and love consistent with the title. Our talented pianist emphasizes on the materialistic trends the world is following nowadays and he says that love is the ultimate ingredient for a beautiful world and happy people. Iiro Rantala finishes the notes with a hope that the music will touch listener's heart, which reminded me an old quote from Monteverdi: "The end of all good music is to affect the soul." The name of the first piece is Karma, the Indian philosophy based on the idea that says "good intent produce good actions and deeds". The musical structure of Karma releases the overall aura of the album in the introduction very well with naive pizzicato touches of Adam Bałdych on the violin first. The catchy and melancholic melody in the first part is build up by entrance of Iiro Rantala's well known tone and Asja Valcic's organic sound. The composition has an interesting second part which sounds like one hand of the piano passes to lower octaves resembling a double bass shuffle giving the base of the overall sound. The kicks going on throughout this second part are repeated solely in the end producing a very mystical ambiance in the listening room. Freedom catches attention by the really impressive piano performance throughout the piece. There is a strong progressive feeling mostly created by the duo performance of strings near to the middle. I learned from notes of the album that the piece is inspired from Jonathan Franzen's novel with the same name. A Gift starts and ends like a classical piece which hides some improvisational parts from the piano in between. Asja Valcic sometimes plays from lower octaves to give a double bass like feeling. By the attacks of Adam Bałdych, the piece passes through a very energetic and impressive part near to the end. A Little Jazz Tune is dominated by Adam Bałdych from beginning to end. His definitive technique is very well obvious in this performance. Belle Epoque, the Golden Age for France and Belgium between 1871 and 1914, reminds us French style in piano. The piece Alone is again under effect of classical genre and shoots us with its melancholy at first notes of the cello which are accompanied by dark lower octaves of the piano. The lyrical violin adds another level in the deepness of the feeling. Iiro Rantala seem to have caught an unforgettable melody that can easily match with a rainy scene in a melancholic European movie. Hard Score is exactly a genre-less performance. You can neither describe it as something from classical, baroque or modern period, nor define as a complete jazz performance. It is like a jazzy performance of a classical piece affected by a progressive style. The piece has a very aggressive intro which rests between some repeats in the beginning. The melody evolves in several cases and the emotional state of the piece is almost unstable. Surely, one of the most impressive performance of the album is Hard Score with its improvisational and ambitious character. Prayer has some deep relations to Bach again with its piano partitions and it is almost a complete classical composition which again carries a very touching melody. Strings remind the late Baroque period. Playing mostly the main theme, Iiro Rantala sometimes prefers to be the rhythm line in some strings dominant partitions. The title track returns to the optimistic main theme of the album. Anyone With A Heart is like a composition for ballet. Harold Arlen's jazz standard Over The Rainbow (which is generally called Somewhere Over The Rainbow as it is done in the album) is successfully performed with its each nuances inherent to the composition. More than that, the trio -especially Iiro Rantala- added a melancholic spice to what we used to hear in general. Happy Hippo starts like an entrance of a cabaret and after the introduction the piece gives a hopeful ending to the album. As a summary, Iiro Rantala String Trio seems to have started a long time collaboration with the album Anyone With a Heart, which will attract not only European Jazz listeners but also classical music followers. Most of the pieces have been turning in my head since I listened to them for the first time. My recommendation for you is to be absolutely open while listening to such intense works. Yes, I believe that Iiro Rantala String Trio played something coming exactly from heart in this album and all you have to do is to listen with a free mind. No need to analyze, no need to tabulate, no need to classify, no need to concentrate on similarities and differences... Just listen. In other words, let the music touch your soul. The CD (ACT 9566-2) will be released in February 28th. The recording, mixing and mastering are all made by Klaus Scheuermann, whose name is familiar for ACT followers. The album is recorded in Emil Berliner Studios on October 29th and 30th 2013. As far as I can see, you can listen lively to Iiro Rantala String Trio on March 11th and 12th in Germany and March 13th, 14th and 15th in Austria. You can also have a look at Adam Bałdych's first ACT album Imaginary Room and wait for his next duo one with Yaron Herman on piano, which will be released on May. Asja Valcic's duo albums with bandoneon & accordion player Klaus Paier can be found with the names Silk Road and A Deux again from ACT. Radio String Quartet Vienna's albums from ACT are also recommended in which you can listen to Asja Valcic.